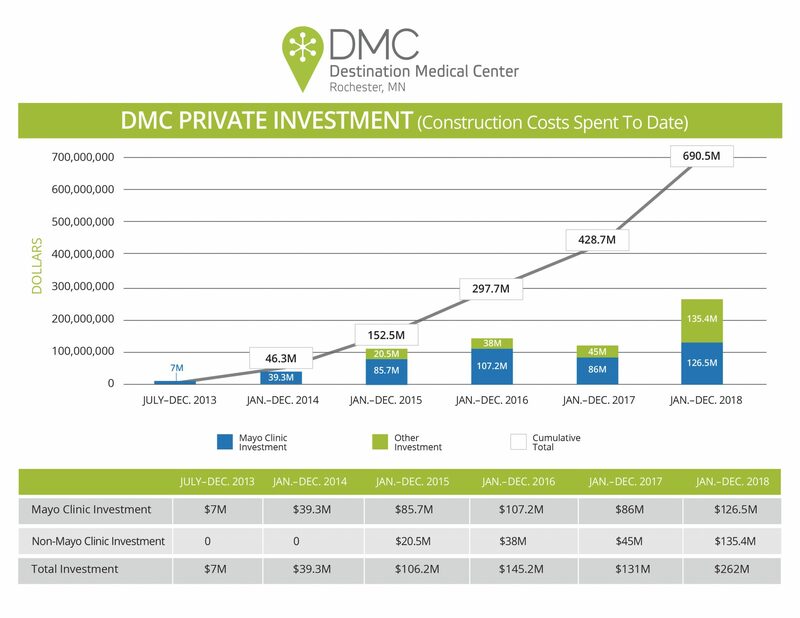 To release state funding over the span of the initiative, DMCC must present the Minnesota Department of Employment and Economic Development (DEED) with an annual accounting of qualified private investments in the DMC district. DEED is then responsible for certifying the investments and qualifying DMC to receive state funding for public infrastructure projects. Nine project grand openings are scheduled in the DMC district in 2019. Don’t have time to read the 700 page document? 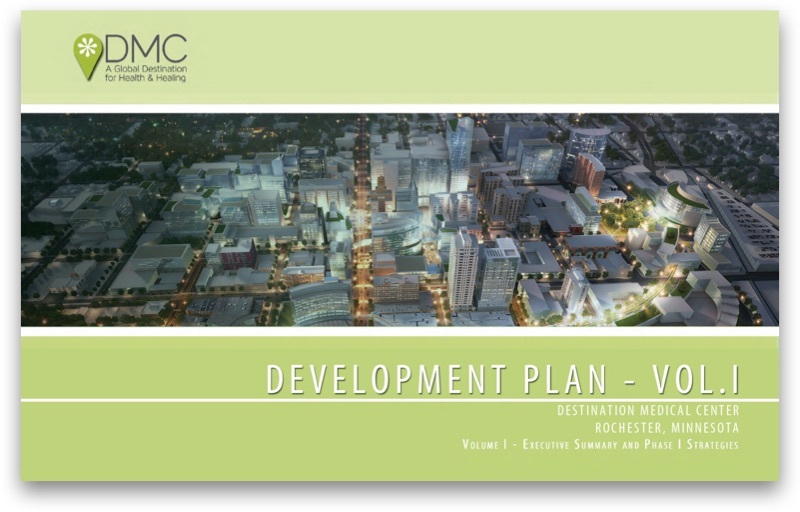 This is a condensed 50 page document that highlights priorities for the first five years and DMC project approval criteria. DMC is guided by a comprehensive, 20-year development plan that serves as a strategic business plan and framework for implementation of the initiative. The Destination Medical Center Corporation serves as the governing board responsible for providing oversight and ensuring that planning and implementation of the DMC initiative supports the legislative intent and public purpose as defined in the statute. 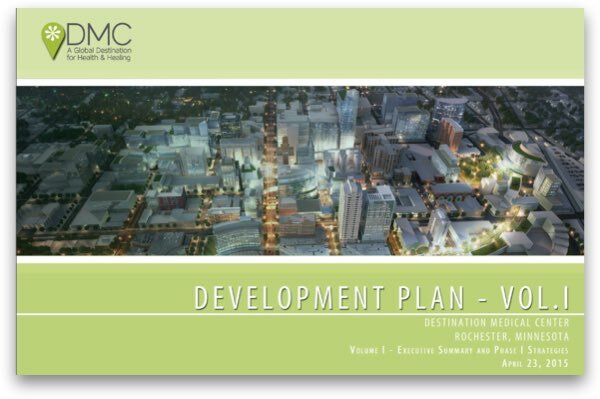 The non-profit DMC Economic Development Agency (EDA) is a private economic development corporation authorized by the DMC statute to provide services to the DMC Corporation. For more info, visit the DMC Leadership page. Fill out the form below to request DMC brand assets.